The closing date for all entries is Wednesday 3rd February. The winner will be announced shortly afterwards on our website. Good luck! Besides George W., how many brothers does Jeb Bush have? As an 18-year-old college freshman, this 2016 presidential candidate wrote a letter to then-President Richard Nixon requesting to meet him at the White House, explaining “My parents would permit me to fly down and see you anytime and I know my grades wouldn’t suffer.” Nixon agreed, and the two met in the Oval Office three weeks later. For the first time in 60 years, Dixville Notch will not be the first town in New Hampshire to cast its primary votes. Which town in New Hampshire will now be the first to cast its votes at midnight for the 2016 New Hampshire Primary? Which Republican candidate was the first to officially declare that he/she was running for president? In 1960, Richard Nixon and John F. Kennedy were the first presidential candidates to engage in a televised debate. 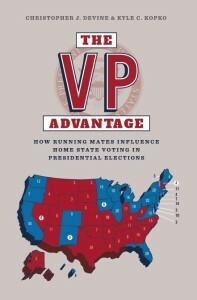 But who were the first vice presidential candidates to engage in a televised debate? Which of the following states allocates its Electoral College votes by congressional district?